Taipei, July 23 (CNA) The jobless rate for June rose slightly to 3.70 percent because of an increase in first-time jobseekers as university students graduated, according to government data released on Monday. The unemployment rate for June rose 0.07 percentage points from a month earlier to 3.70 percent, but was down 0.01 percentage points to 3.68 percent on a seasonally adjusted basis, data from the Directorate General of Budget, Accounting and Statistics (DGBAS) showed. 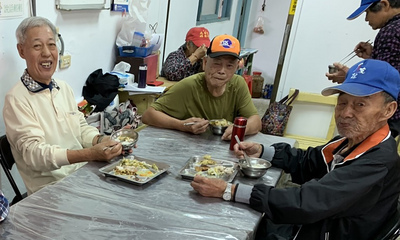 The number of those who were out of work in Taiwan rose 9,000, or 2.12 percent, from a month earlier to 439,000, while the number of people employed was 11.42 million, up 0.06 percent from a month earlier. The labor participation rate was 58.92 percent, the DGBAS said. In June, the number of first-time jobseekers increased by 8,000 from a month earlier, the biggest cause of the slightly higher unemployment rate before seasonal adjustments, according to the DGBAS. The number of those who quit to find another job and those who lost jobs due to the end of seasonal and temporary contracts also rose 2,000 and 1,000 respectively, the DGBAS said. The number of people who lost jobs because of businesses closing or downsizing fell 1,000 in June from a month earlier, the DGBAS data showed. Though the expected surge in new entrants to the job market pushed the jobless rate higher, the adverse effect was offset to some extent by continuing economic growth, said Pan Ning-hsin (潘寧馨), deputy director of the DGBAS' census department. Pan said that judging from the seasonally adjusted rate, Taiwan's labor market remains stable, and he anticipated that the effects of the current graduation season on the jobless rate would continue in July and August before fading in September. In terms of age groups, the unemployment rate among people aged 15-19 was 8.57 percent in June, up from 8.26 percent in May, while in the 20-24 age group, which had a large number of first-time job seekers, it hit 11.89 percent, up from 11.54 percent a month earlier, the DGBAS said. The jobless rate in the 25-29 age group hit 6.35 percent in June, also up from 6.28 percent in May, the DGBAS data showed. Among people holding a university degree, the jobless rate in June was 5.06 percent, the highest among all education groups, while the unemployment rate among people holding a senior high school degree and a graduate school degree stood at 3.60 percent and 2.90 percent, respectively, the DGBAS said. In the first six months of this year, Taiwan's jobless rate was 3.66 percent, down 0.09 percentage points from a year earlier, while the labor participation rate rose 0.14 percentage points to 58.88 percent, according to the DGBAS.